OWNER WILL CARRY!!! OWNER IS MOTIVATED!!! SEE ATTACHED OFFERING MEMORANDUM & SUPPLEMENTS: PRO FORMA 13.89% CAP RATE WITH ROOFTOP LOUNGE & PRO FORMA 8.66% CAP RATE WITHOUT ROOFTOP LOUNGE!!! Welcome To The Mission Galleria! 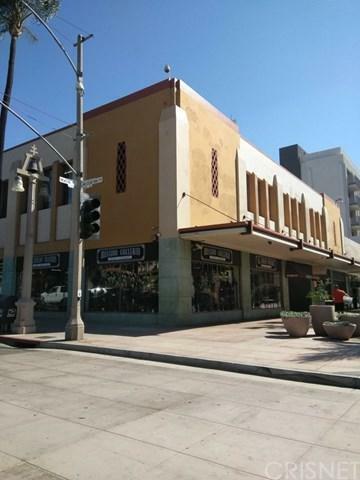 Formerly Sears Building & Registered As A Historic Building, This Is A Huge Opportunity In Downtown Riverside Directly Across From Mission Inn! Be A Part Of A Developer's Dream Like Imperial Hardware Lofts & Stalder Plaza! Become An Owner-User Of An Entire 54,000 Square Foot Retail Building Or Purchase As A Value-Add Investment! Owner Is Willing To Carry With $3,000,000 Down Payment For The Right Buyer! Seller Is Proposing A New 14,700 Square Foot Rooftop Lounge/Restaurant/Bar To The City Of Riverside & $1,500,000 In Budgeted Costs For The Project! City Of Riverside Has Already Appraised The Building At $7,500,000 Several Years Ago Without The New Rooftop Development! Also Available For Lease! Existing Month-To-Month Tenants Paying $2.40/SF Up To $3.00/SF Triple-Net Plus 12% Of Gross Sales. Tenants Include Hideaway Bar & Mission Galleria Antique Shop & Existing Tenants Can Stay Or Leave! Building Has 4 Floors & Hideaway Bar In The Basement Grosses $1,500,000 In Annual Sales! Be Apart Of The Newly Renovated Downtown Riverside Empire! Listing provided courtesy of Ryan Mcelveen of Ryan Mcelveen and Jerrold Tomeo of Mgr Real Estate, Inc.